The past year was a bit strange for us as we traveled much less than we usually do. We made it to eight countries (not counting the U.S.) including only one we hadn’t been to before: Cuba. (I actually got to Cuba twice with Cuba Unbound.) 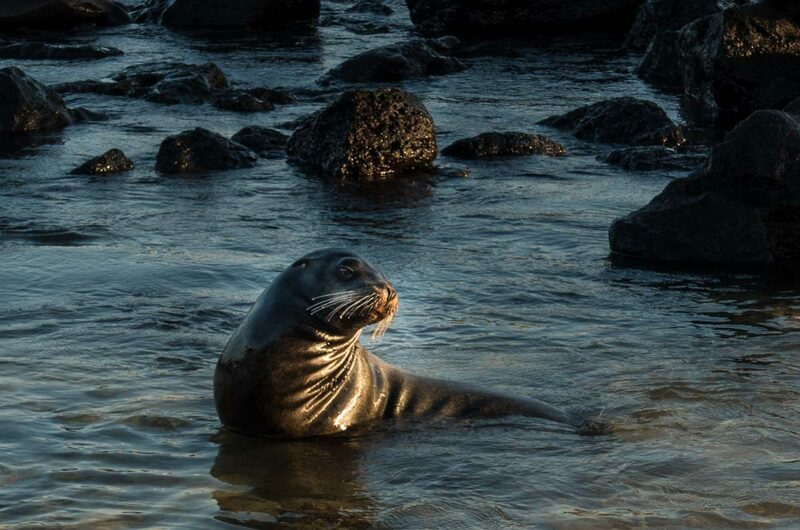 We did did check off a major item on any traveler’s list by getting to the Galapagos islands with Galakiwi. Another big goal was to finally spend some time in Argentina, particularly Buenos Aires. It lived up to its reputation. We cruised up the Rhine River on Viking River Cruises from Basel, Switzerland to Amsterdam. We took Eurail around northern Europe a bit, stopping in Berlin, Ghent, Belgium, and Paris. 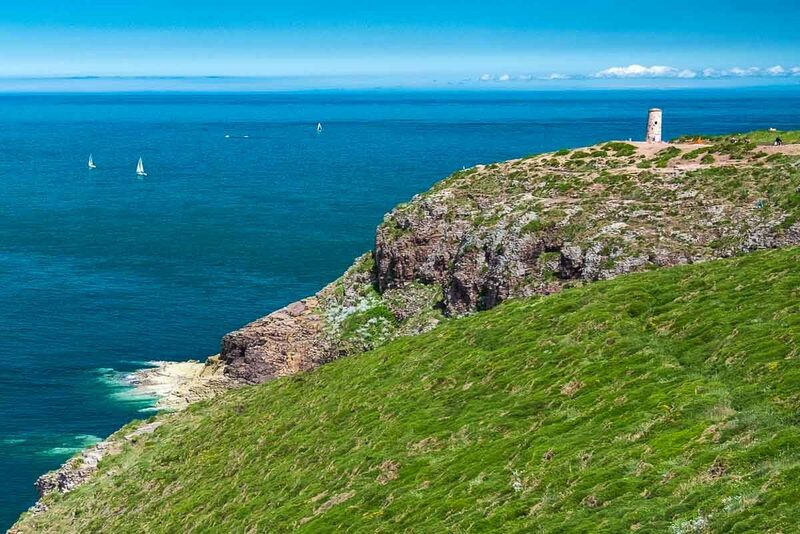 We took an eight-day bike trip with Exodus Travels through Brittany, France. (Here are some extra images from the bike trip.) That long of a bike ride was a first for us as well. My usual distance limit is pedaling over to my favorite Minneapolis bar. The other highlight of the year was a driving trip to the American music meccas of Nashville, Memphis, and northern Mississippi, with the help of our friends at Best Western. We heard lots of great music, and passed through Robert Johnson’s crossroads. I also had my first ever gallery photo exhibit, at Icebox Gallery in Minneapolis. That involved narrowing down seven years worth of photos to 35 images. You can see those images here. This year, I made over 10,000 exposures. Narrowing those down to 50 takes a while, but it’s a few hours of reliving a lot of good memories. 1Fidel Castro may be dead, but he’s not gone. A big video screen played one of his speeches on “Police Day” in Havana, and even the rerun drew a crowd. 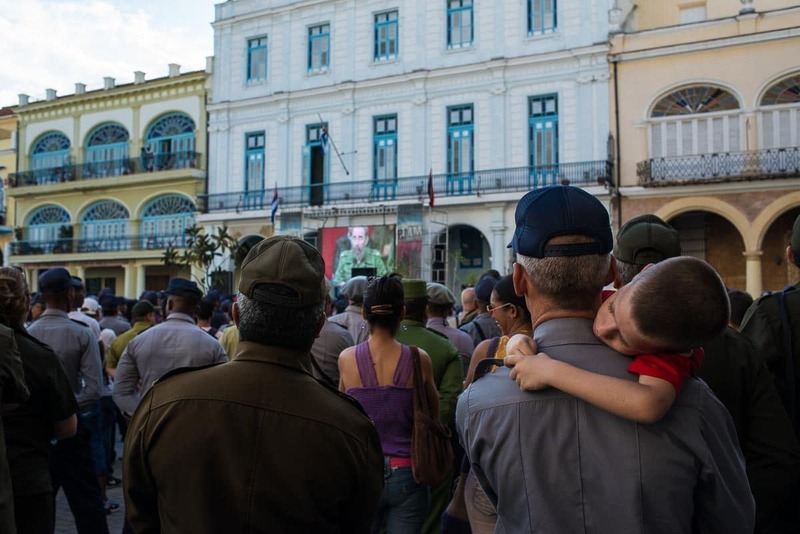 The Police Day celebration extended all through Havana. At one display, you could see all the police standard weapons laid out on a table. You could look, but not touch. 2 If you want to take a picture, that will be $1. What if I want my fortune told? That will be $5. I settled for the photo and a bit of conversation, which included a sales pitch for a cigar like hers. Musician headed to a gig, Trinidad, Cuba. 3You can’t walk around any Cuban town without hearing live music coming from all directions. I’m not sure why it’s like that, but it is. 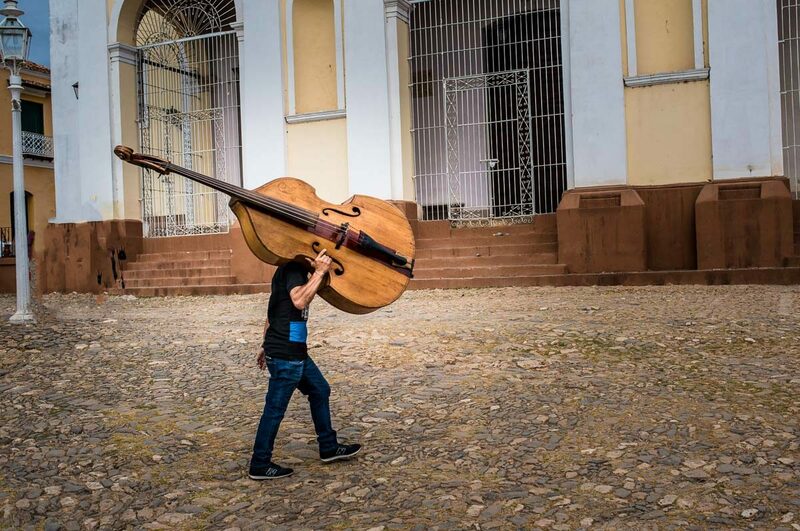 This guy was hauling his bass to join a band playing in the main plaza of Trinidad. 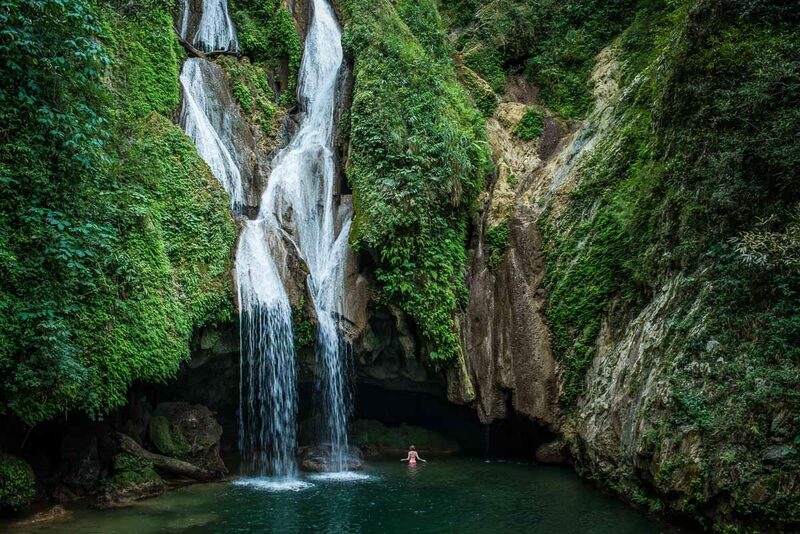 A waterfall at Topes de Collante in the Vegas Grande National Park, Cuba. 4Perhaps the most surprising thing about Cuba was the extent and beauty of the undeveloped countryside. The government has protected a lot of Cuba’s natural beauty, like this. And we were glad to spend a couple hours hiking to reach this secluded idyll inspiring scene. 5 I took a long walk along Calle Neptuno from the Vedado area of Havana to the Old City. I think it is safe to say that I was the only tourist for miles. The nice thing, obviously, about speaking Spanish is that you can wander into real neighborhoods that aren’t set up for tourists and talk to people. 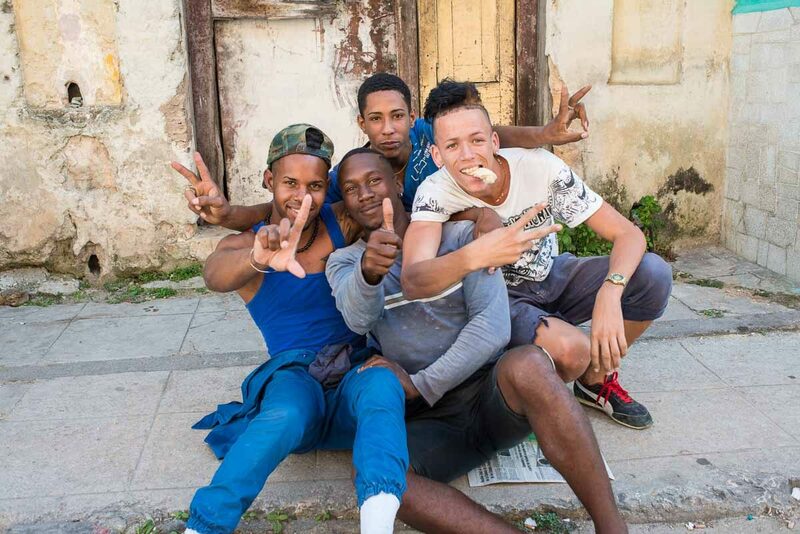 Like these guys who were just hanging out, listening to Cuban hip hop, and only too willing to pose for a picture. 6Except for organized demonstrations, the Plaza of the Revolution in Havana is pretty much empty of everything but neon propaganda. 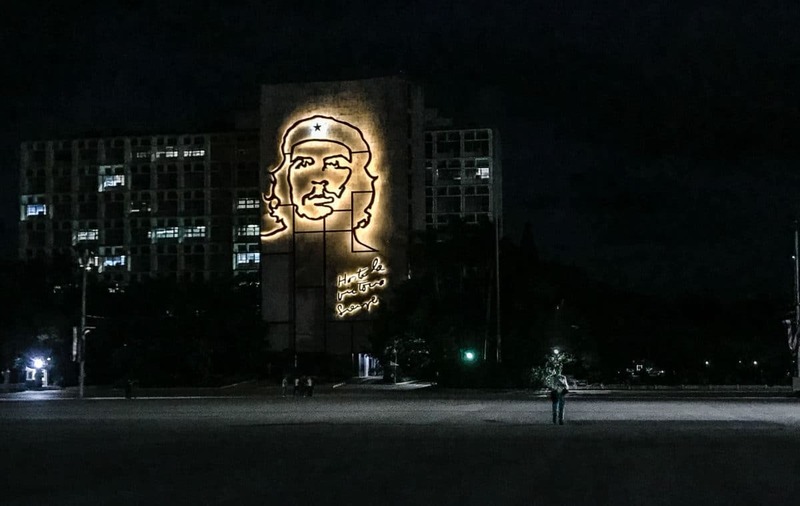 As Che says, “Towards the victory, always.” It does look really good lit up at night, though. The basilica of Saint Augustine, Florida. 7 Whenever I think of the outrageous rhetoric emanating from certain quarters of Washington regarding the immigrants to this country, I can’t help but remember a little bit of our history. The Spanish people arrived in North America long before the English, and they were the founders of the oldest city in the United States, Saint Augustine, Florida. Not much of the original city is left–but there are some fortifications you can visit if you like–and this old church. It doesn’t date from the beginning, but the mural above the balcony commemorates it nonetheless. 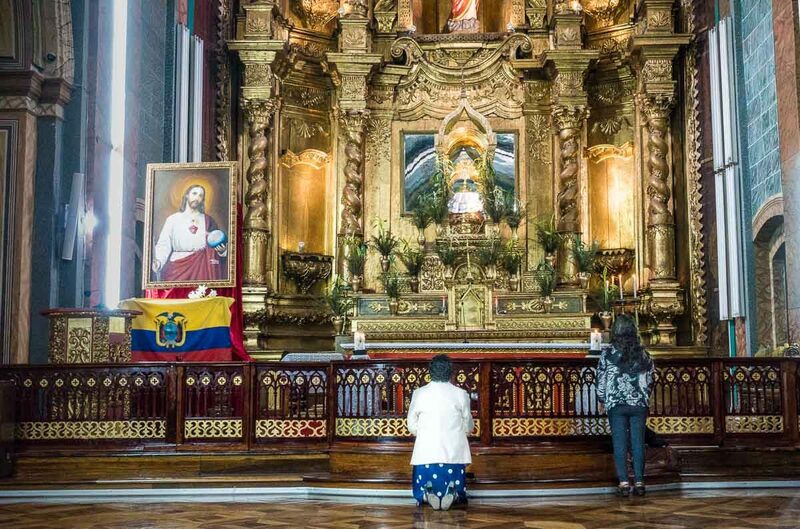 8 The Plaza Grande area of Quito, Ecuador is surrounded by spectacularly decorated colonial era churches. One sees here, more than anywhere else, what the Spanish did with a lot of the riches they looted from the South American Indians. If you want to see the rest of the South American gold, you have to go to Spain. Young sea lion, San Cristobal, Galapagos, Ecuador. 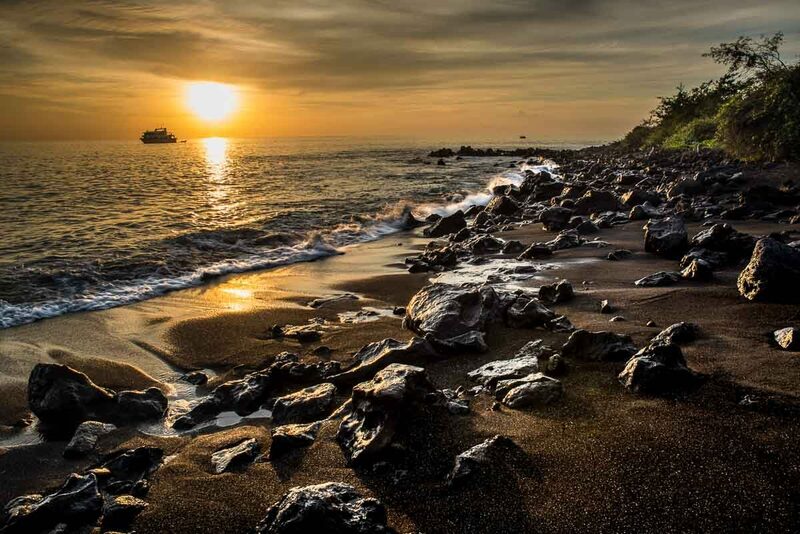 9 The Galapagos Islands are really all about the wildlife–especially because they are so unafraid of humans. For the most part, you can walk right up close to them, even the birds, and just snap away. They’ll even pose if you ask nicely. 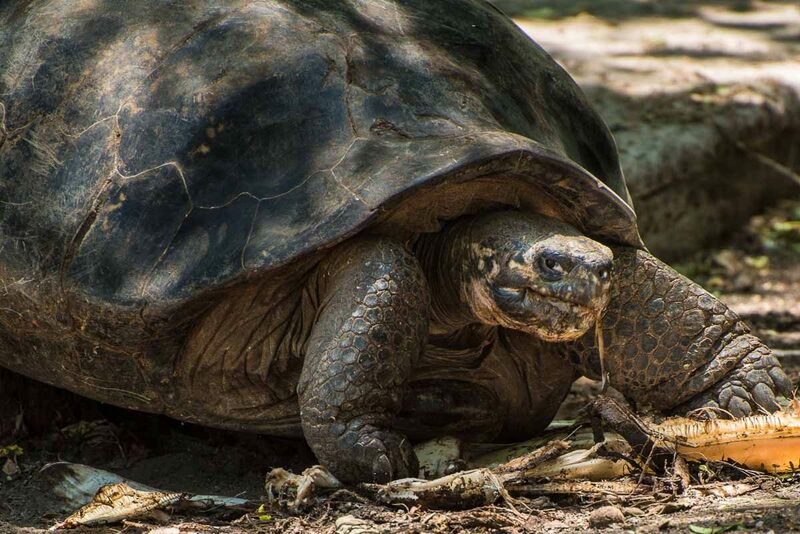 Giant tortoise, Isla Isabela, Galapagos, Ecuador. 10 I could probably fill up this entire post with animal photos from the Galapagos. But I won’t. I will however post four out of the thousand or so I shot. Sorry, boobies, multiple other bird species, dolphins, more iguanas, flamingos, and other animals who didn’t make the cut. Thanks anyway. You know who you are. 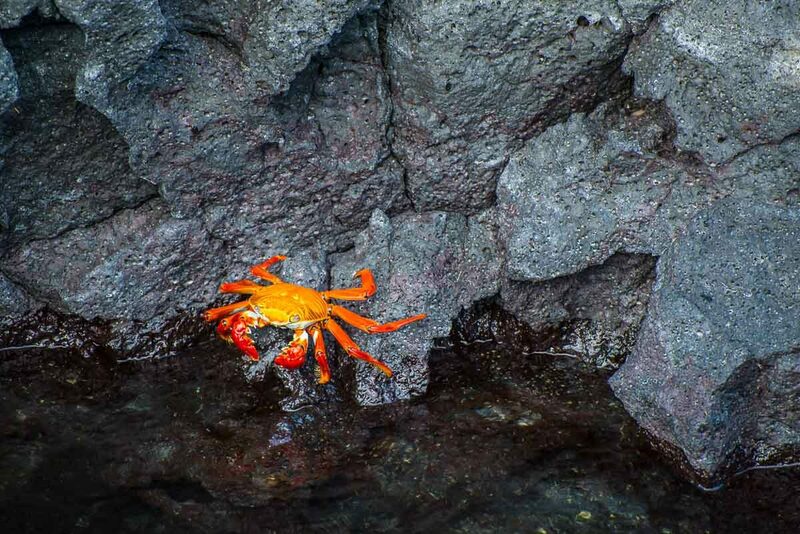 Red crab, Isla Isabela, Galapagos, Ecuador. 11 It’s the color that makes this shot. I wonder how a crab so bright survives with all the hunting birds in the sky. They must be fast. I wish I had had a net. This guy could have been my dinner. Actually, on a couple of occasions, his cousins probably were. 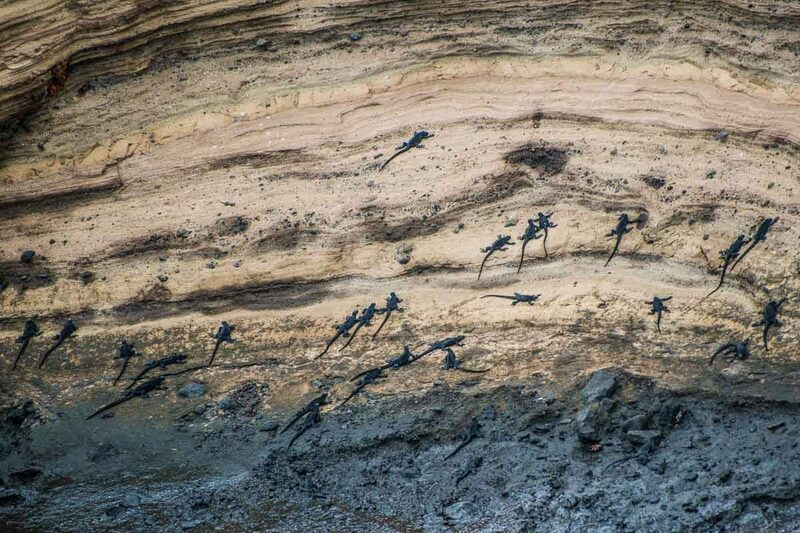 Marine iguanas on the rocks, Galapagos, Ecuador. 12 The abstract nature of the patterns of the thousands of iguanas on the uninhabited (by humans) islands you see as you sail around Galapagos waters is fascinating. 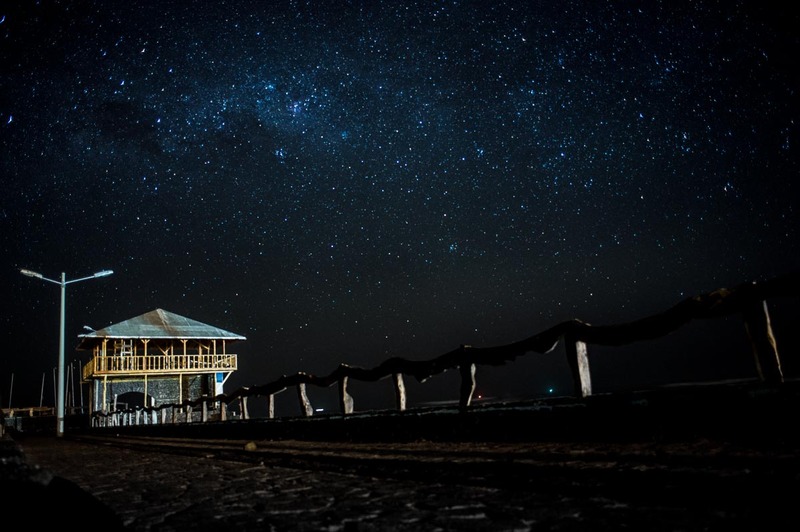 Night sky, Isla Isabela, Galapagos, Ecuador. 13 It’s not all animals in the Galapagos. The distance from most light sources allows you to see the stars that you can never see in the bright city lights of less remote spaces. This photo was a tough one, because I didn’t have a tripod. I had to make one from my t-shirt which padded the top of a post. It was difficult to frame, so I had to do a lot of fooling around and make a lot of exposures to get one good one. Sunset, Isla Floreana, Galapagos, Ecuador. 14 Isla Floreana is a treat among treats of the Galapagos. Only about 100 people live on the island, and so the beach is absolutely deserted at sunset. That’s our boat out there. There weren’t any others in sight. Love the wet rocks hit by the setting sun. Don’t you? 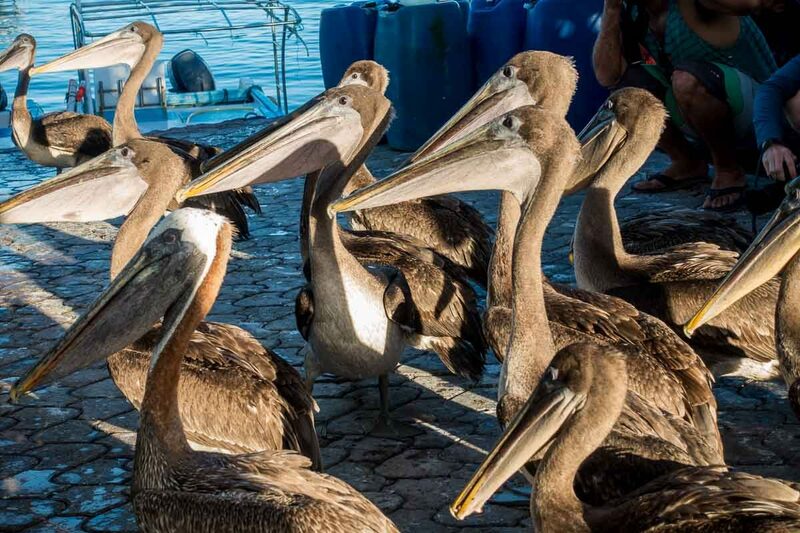 Pelicans at the fish market, Isla Santa Cruz, Galapagos, Ecuador. 15 Ok, just one more animal photo from the Galapagos, and only because it is funny. Like I said, the Galapagos animals aren’t afraid of humans. This bunch of scavengers was lined up at the local fishmonger’s table, waiting for the scraps that he tossed aside as he cleaned his catch. 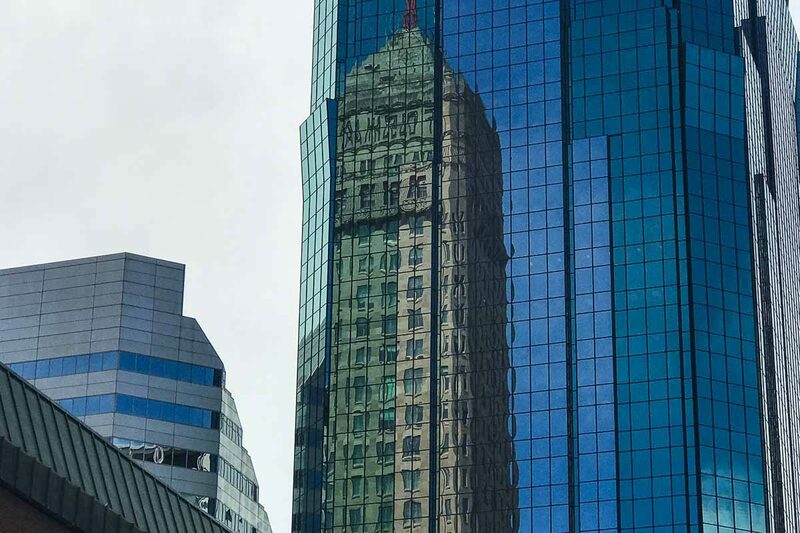 Reflection of the Foshay Tower, Minneapolis. 16 Minneapolis has a lot of distinctive and beautiful modern architecture in its downtown. But, I’m still a big fan of the 1929 Foshay Tower. Completed just as the Great Depression started, it was bankrupt before it was ever occupied. But it stood, and now it houses a swank W Hotel including the Prohibition Bar, where you can get the most imaginative cocktails in Minneapolis. 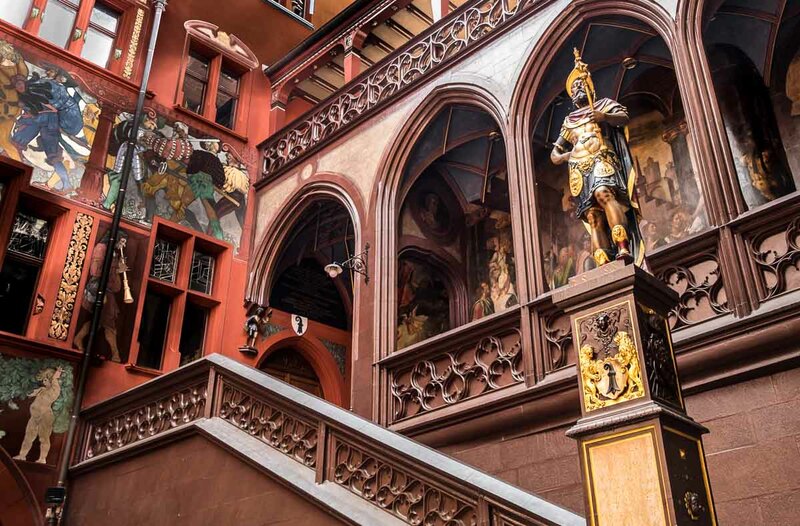 17 The City Hall of Basel is a great example of the difference between the Protestant north and the Catholic south of Europe. The iconography is of local heroes and local industry, as opposed to saints. The churches are comparatively bare. 18 As part of a Viking River Cruises voyage up the Rhine River, we stopped at Colmar, France for a tour of the battlefield of the famous World War II battle of the Colmar Pocket. I had no idea the battlefield was so vast, or that the fighting so fierce. I should have known, though, because my father was a U.S. Army Ranger who was in the thick of this battle. He was wounded in Colmar by a German machine gun that broke both his legs. That wound put him out of the war and into a year’s surgery and rehab. 19 The Strasbourg Cathedral is one of my all time favorites. I did an entire photo essay on it once, and was all too happy to spend more time there on one of our Rhine cruise stops. It survived World War II mostly intact, which you can’t say for many European cathedrals. 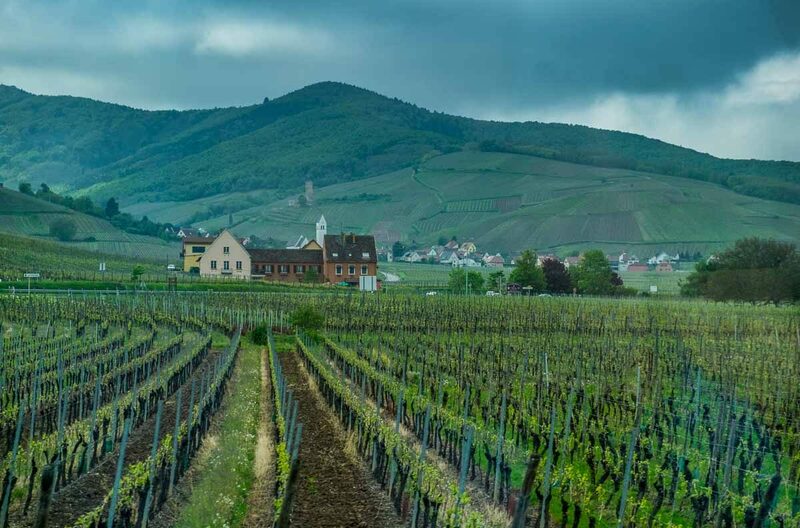 If you’re in Alsace, you must see it. And take your time so see it both inside and out. The gargoyles are among the best. St. Stephen’s Church, Breisach, Germany. 20 The small town of Breisach, Germany on the Rhine River took quite a pounding during the war, as Hitler demanded that the German border be defended to the end. As a result, of course, this town at the top of the hill was heavily damaged. 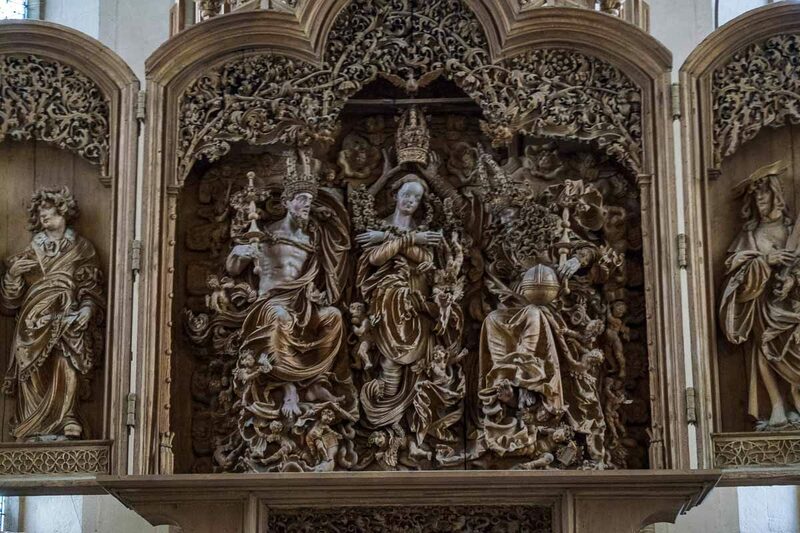 Most of the original art from the main church was destroyed, but luckily the extraordinary carved wood altarpiece was removed and buried outside the city during the fighting. 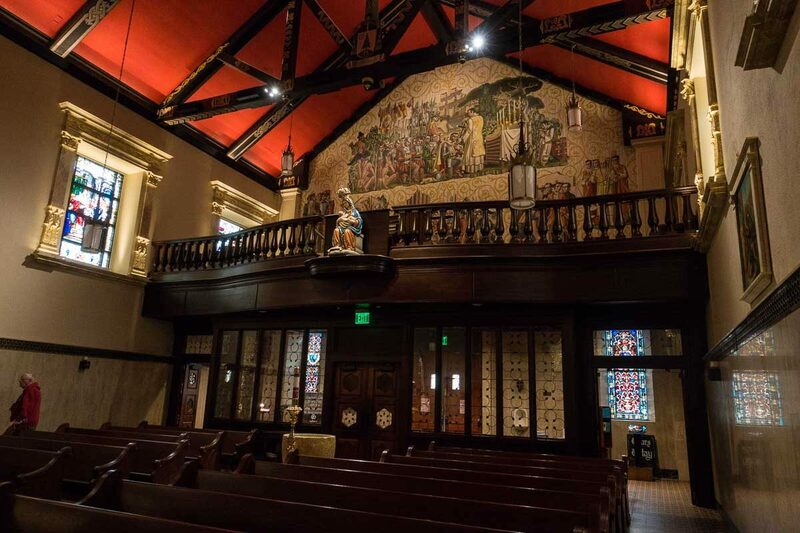 It now resides in a back room of the restored church. You’re not allowed to get too close to it, but you can stand there and admire it for as long as you like. It’s an extraordinary piece. There’s lots more to see in Breisach, too. The people there have repurposed much of the ruins into what has become a city-wide plea for peace through both medieval and modern art. The Köln (Cologne) Cathedral, Germany. 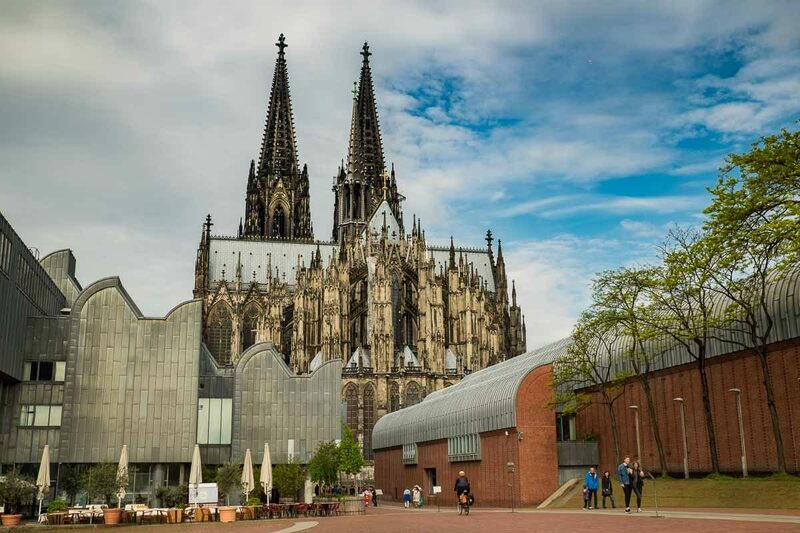 21 I love this view from near the Rhine of the medieval Gothic Köln Cathedral towering over the modernist Ludwig Museum of Art. Unfortunately our time in Köln was limited by the cruising schedule so we didn’t have time to check out the Ludwig. It was a choice between the Cathedral and the museum which you shouldn’t have to make. Next time, more time in Köln to see them both. 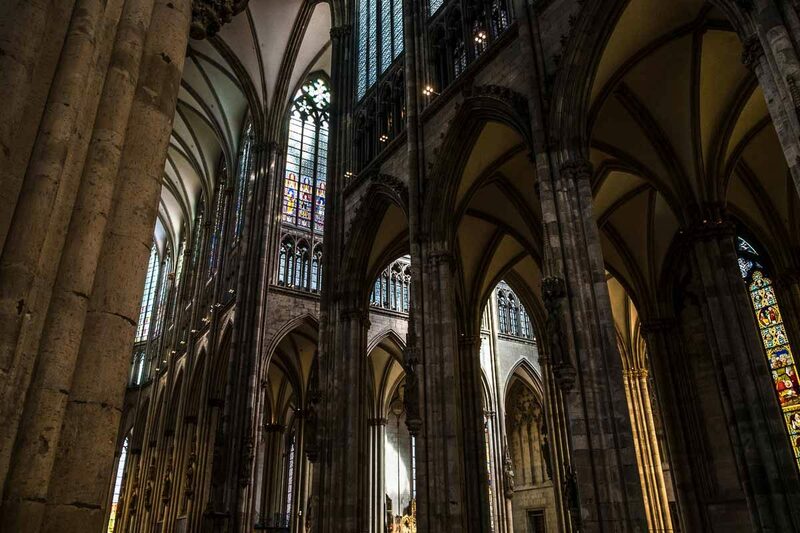 22 It wouldn’t be fair to tease you with an exterior shot of the extraordinary Köln Cathedral without giving you a glimpse of the interior. I’m always amazed that any windows survived the war, or that the replacements are as beautiful as the originals. In Köln, you have some of both varieties. 23 The Saint Martin’s church was heavily damaged during the war, and the minimal reconstruction has left a very austere shell in place of what was once a repository of magnificent works. But in austerity, there is beauty, too. And remembrance of what a church is in its essence: a place for prayer. The windmills at Kinderdijk, Netherlands. 24 The 19 windmills at Kinderdijk even today play a part in keeping this part of the Netherlands dry. Although most of the pumping of the sea is now handled by powered pumps, the windmills still play a part in pumping the relentless sea back on its side of the dikes. 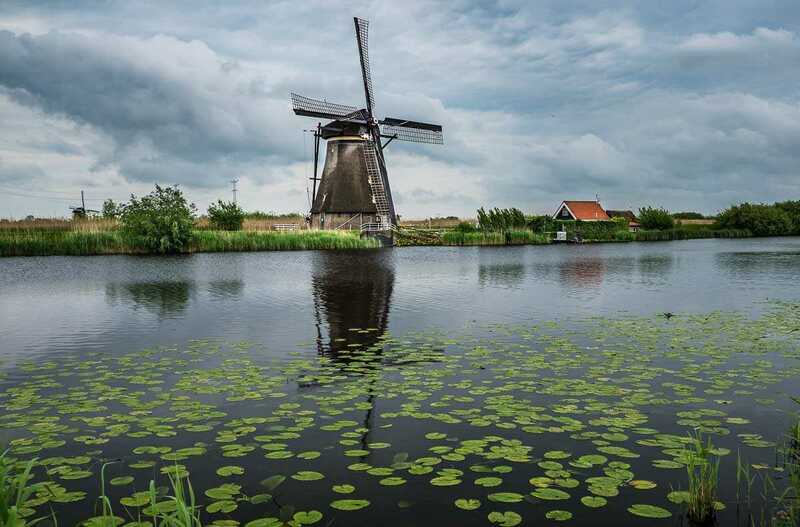 Kinderdijk is a Unesco World Heritage site, which means the mills are beautifully and authentically maintained. 25 The Marienkirch (Mary’s Church) in Berlin was pretty much flattened during the war, but was completely restored over a period of decades since then. 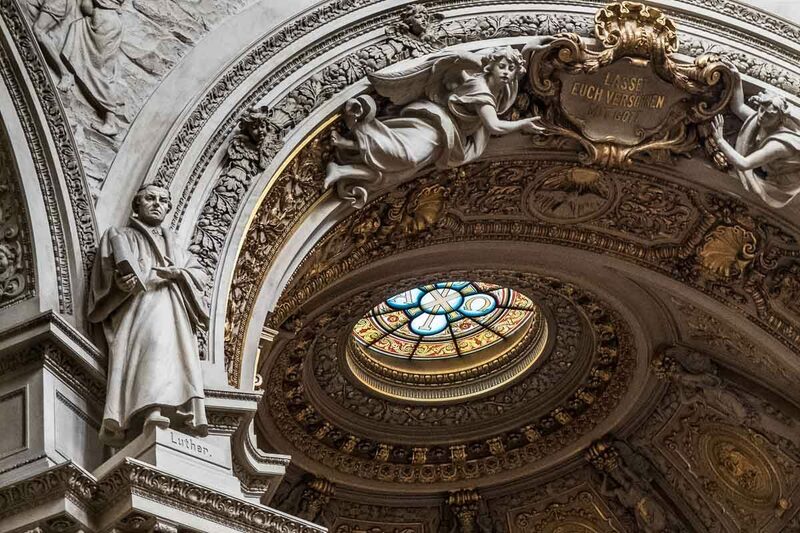 Its neoclassical interior is highly decorated, which is unusual for a Protestant church. But it was the church of the Kaisers, and so a certain level of decoration is expected. Note, there aren’t too many saints here. The figures gracing the columns are mostly Lutheran thinkers, including of course, Luther himself. 26 Except for some long spans that were turned into an art exhibit, most of the Berlin Wall is now in shards that weigh down stacks of paper on desks all over the world. But, we must remember our history so the guard house at the famous Checkpoint Charlie at the interface between the American and Russian occupied zones still exists. There’s no gate now as the street goes straight through from East to West Berlin without so much as a stoplight. 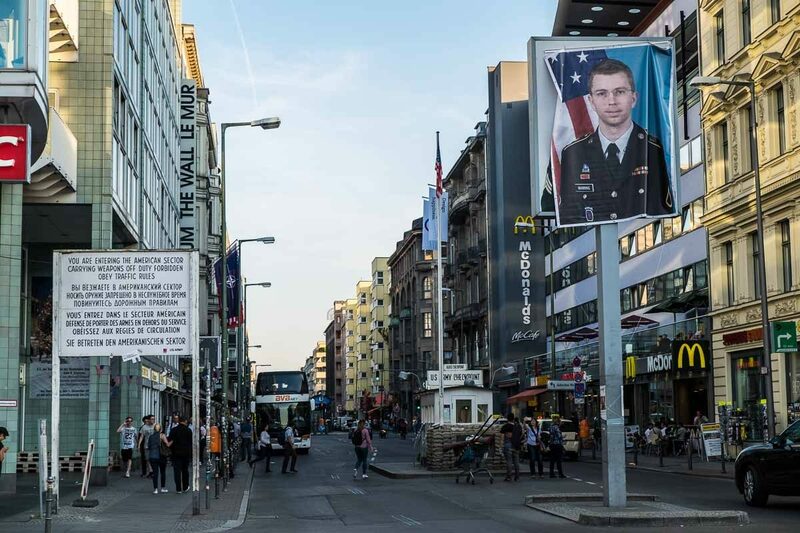 I especially liked that the Berliners had hung a large banner photo of Bradley (now Chelsea) Manning over the intersection. 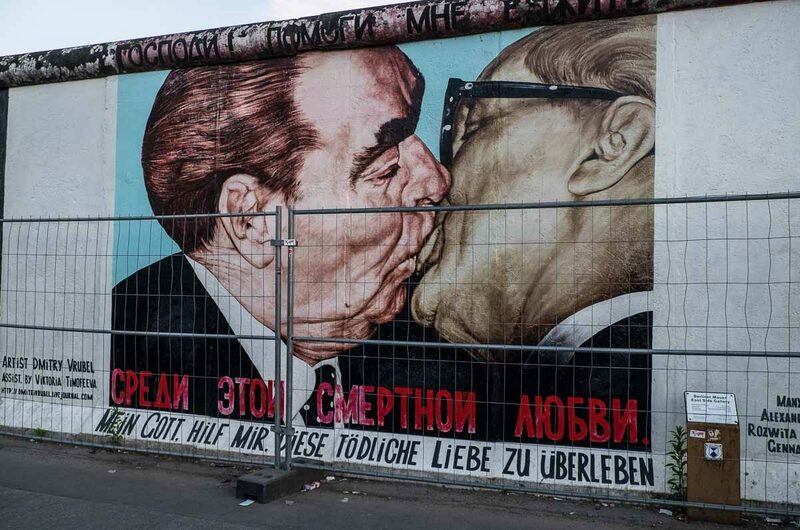 28 At least you can’t accuse the Germans of shying away from their own history. 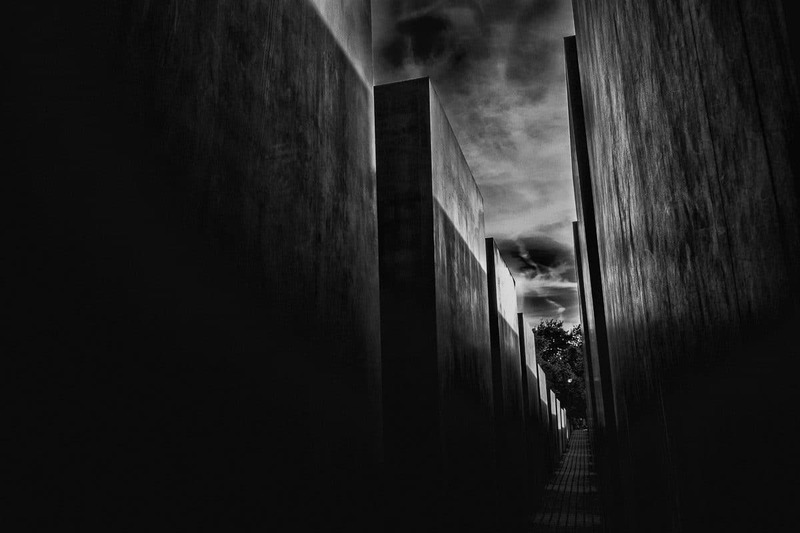 The Holocaust Memorial, a field of 2711 stelae designed by the American artist Peter Eisenman, is actually named the Memorial to the Murdered Jews of Europe. That’s a stark name for a stark installation, one that I think conveys itself best in black and white. Canal at night, Ghent, Belgium. 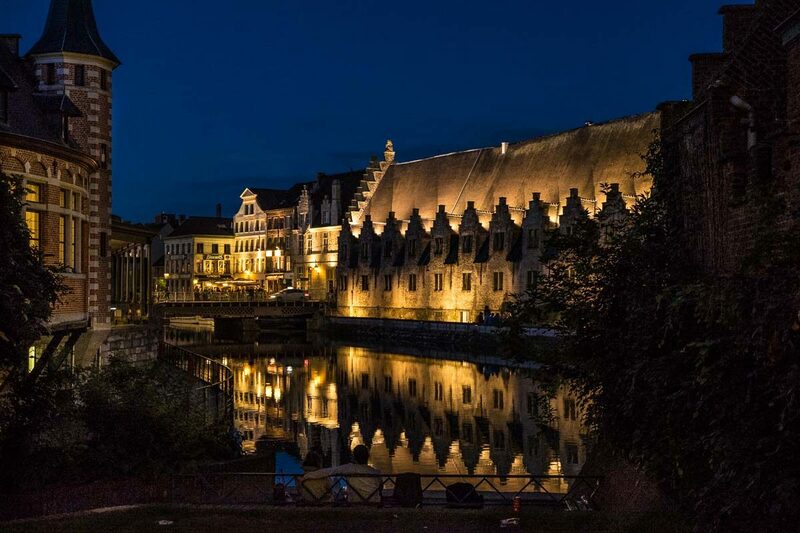 29 Ghent is one of my favorite cities, and not just because it’s the home of perhaps the most extraordinary piece of European Renaissance art, the Ghent Altarpiece. Read the book, The Monuments Men, if you want the story of how it was rescued during the War. But the city is just beautiful, with row after row of beautiful buildings and churches surrounding the Lys river, and a cafe culture that perfectly complements the lazy pace of the waterway. We wrote a chapter on Ghent for a National Geographic book on travel for couples, if you’d like more info. 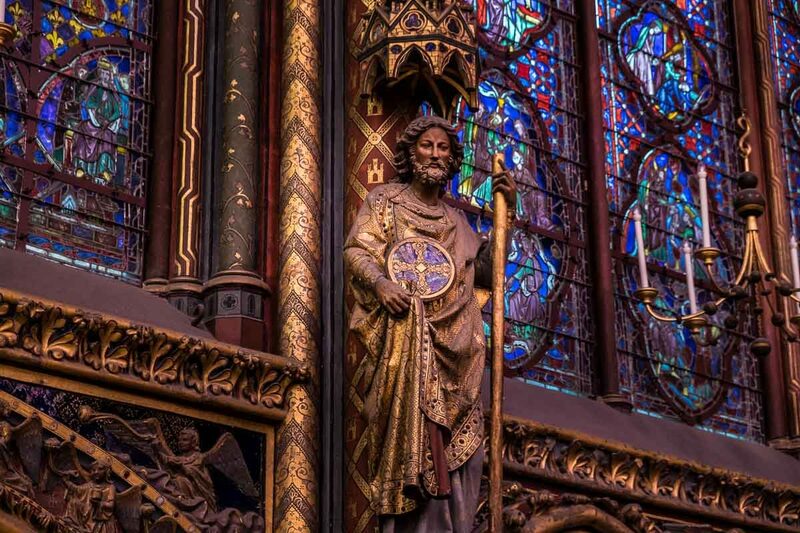 30 The Sainte Chapelle, the Holy Chapel, of Paris was built by King Louis IX of France in the 13th Century to house his collection of holy relics, including the original crown of thorns. (Yeah, right.) 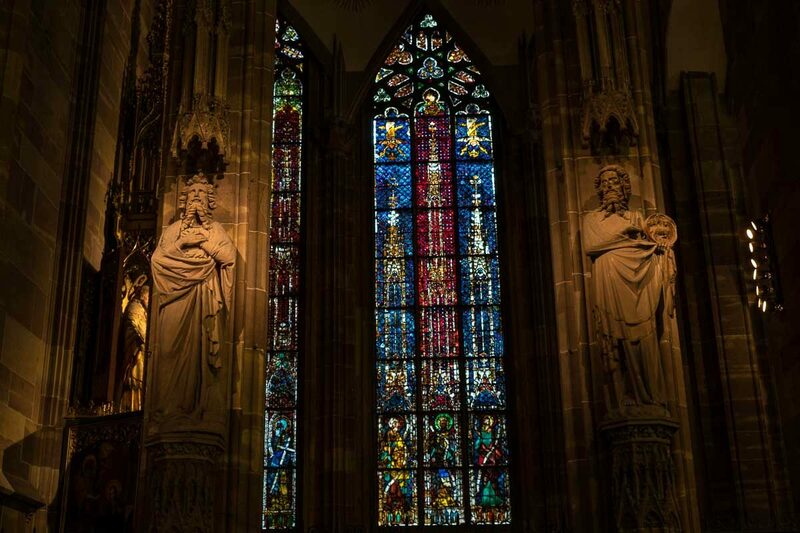 Anyway, it’s a remarkable piece of Gothic architecture that presents one amazing tableau after another of sculpture framed by extraordinary stained glass. We’ve visited Paris six or seven times, and had never seen this church, even though it’s within easy walking distance of Notre Dame. We made a point of seeing it this time, and were kicking ourselves that it took so long to get there. 31 Our first rest stop on our first day of biking around Brittany. There was one seascape after another on the route, but this one was particularly picturesque and merited a longer stop to gape, and have our lunch of bread and cheese. Plouer Sur Rance, Brittany, France. 32 Another lunch stop precipitated by hunger, and a sprinkling of, well, precipitation. 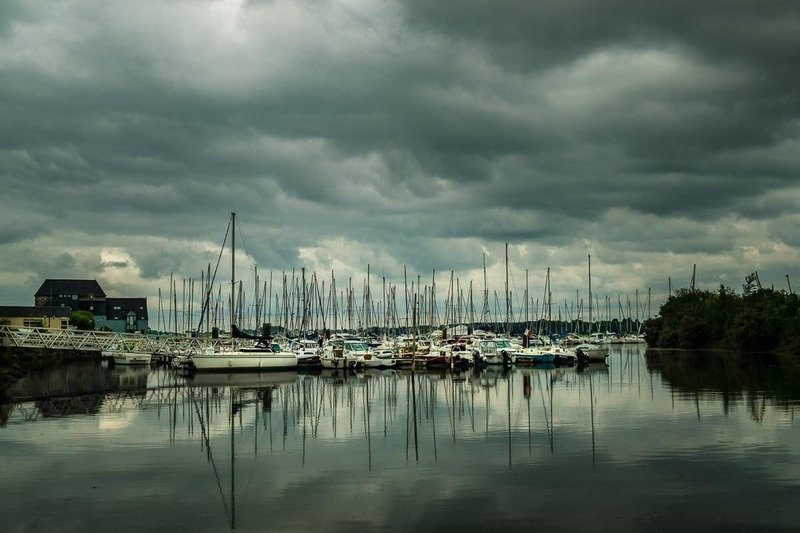 The rain stopped during our lunch, and we were left with this cloudy, dramatic view of the boats in the harbor. 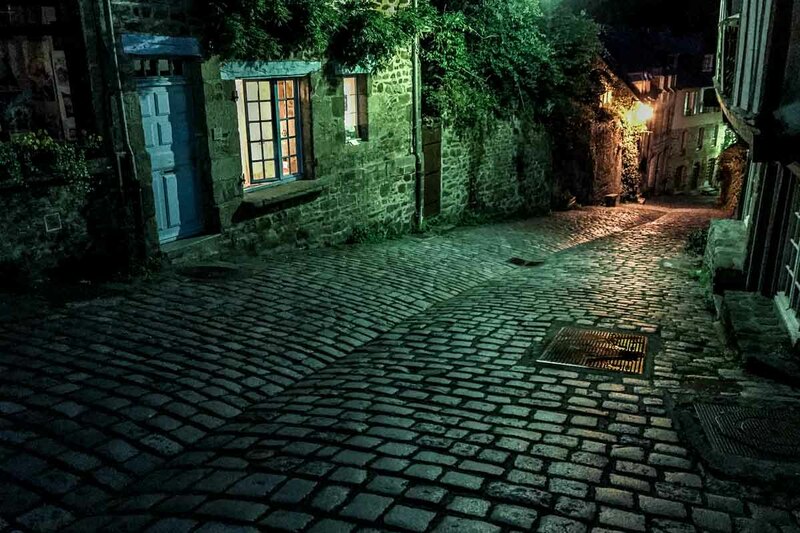 Street at night, Dinan, France. 33 The Unesco World Heritage town of Dinan in Brittany lived up to its billing as one of the most beautiful in France. A walled town at the top of the steep hill, we walked up for dinner after parking our bikes at our hotel at the bottom of the hill along the river. It got dark as we dined, and we enjoyed the atmosphere and the glow of the street lights and our bottle of wine on our way back to bed. Girl with a Girl With the Pearl Earring. 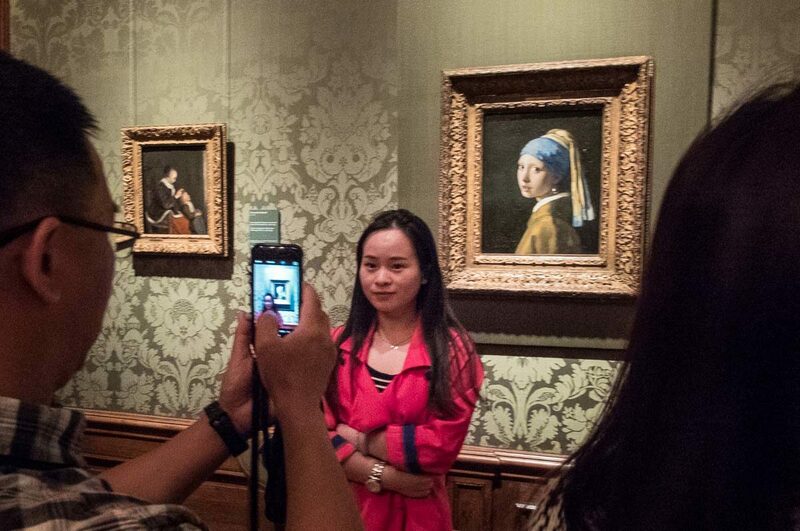 34 One of my great regrets in life is that I traveled all the way to the Mauritshuis in The Hague, Netherlands just to see their collection of Vermeer paintings and I forgot to take a picture of me. Oh well, maybe next time. 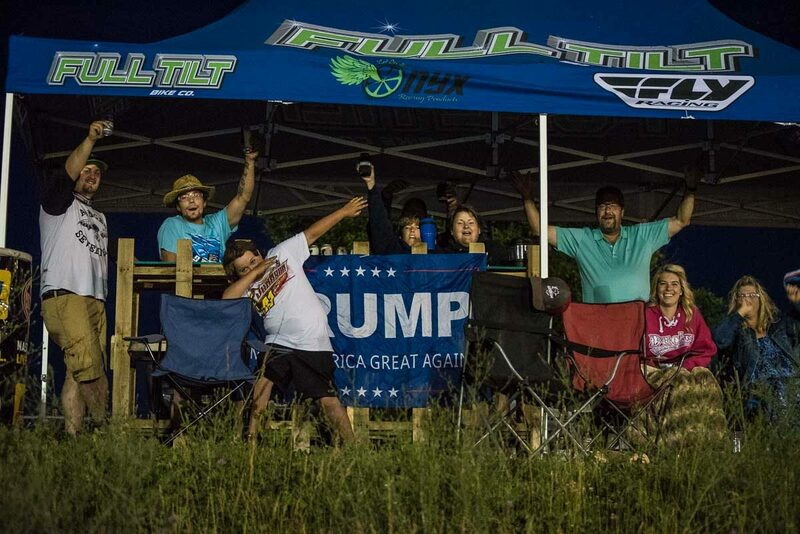 35 I spent two days and nights shooting the dirt track racing at the nearby Wisconsin track. I made more than a thousand exposures of cars tearing by. Some of them were pretty good, I think. But this shot, more than any of the cars, sums up the race meet. This is what you see when you get out of the liberal cities. 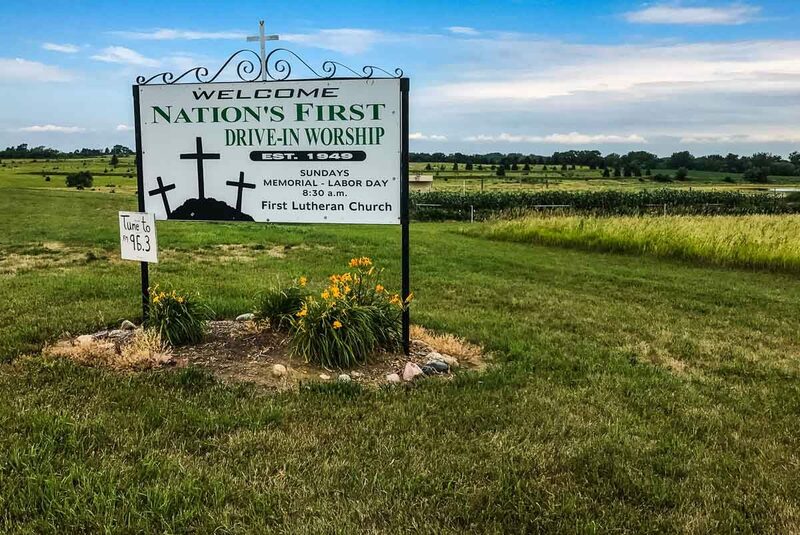 Drive in worship, Lake Okoboji, Iowa. 36 Our family meets up once a year at Lake Okoboji, also known as the Iowa Riviera. This year, I took a 20 mile bike ride around the lake by myself. I’ve driven the route a hundred times, but riding the bike allows you to approach the lake more closely and see things you can’t see from the road when you’re going by at 60 miles an hour. I can’t believe that I missed this opportunity for all those years. 37 Sometimes I can’t resist buying a new piece of camera equipment, especially when the equipment is used, and cheap. I bought a couple of macro rings online, that turn a normal lens into an extreme closeup lens. So, to try it out, I took it onto our apartment’s front porch to shoot the flower pots we put on our front gate as a pathetic reminder of the extensive landscape we used to have when we had a big American house. Minnesota had an invasion of Japanese beetles this summer which turned all the leaves on the trees on our street to lace. 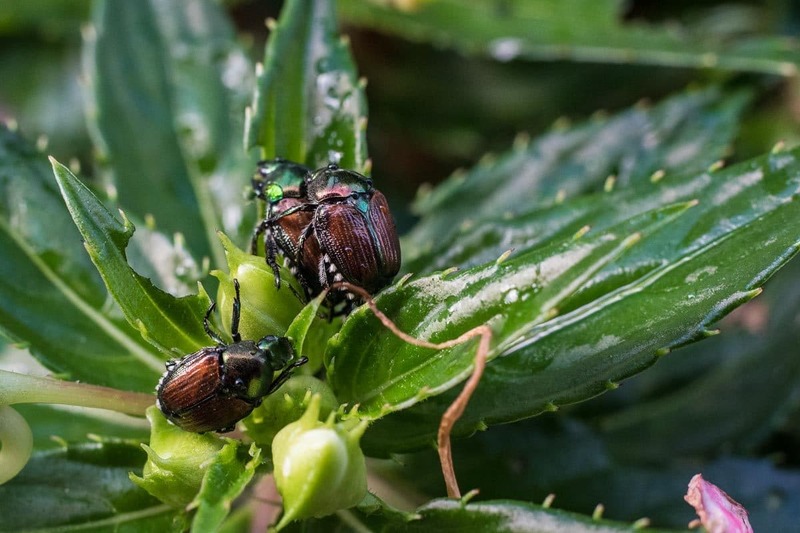 I got a shot of these guys just before they did the same to our flowers. The next day, they, and the flowers and leaves, were gone. 38 I got back to Cuba in August to scout for a possible tour we hope to lead. 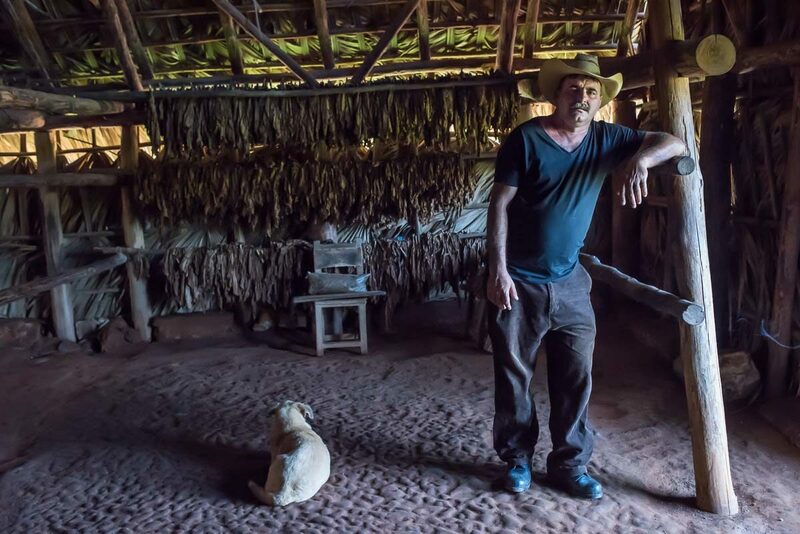 As part of the obligatory “People to People” rubric, I visited a tobacco farm. There I got Benito, and his dog, to pose in his drying barn. I think Cuba is the most photogenic place I’ve been, by the way. 39 As I said above, Cuba presents not only a million opportunities for street photography of people, but the landscapes are kind of nice, too. 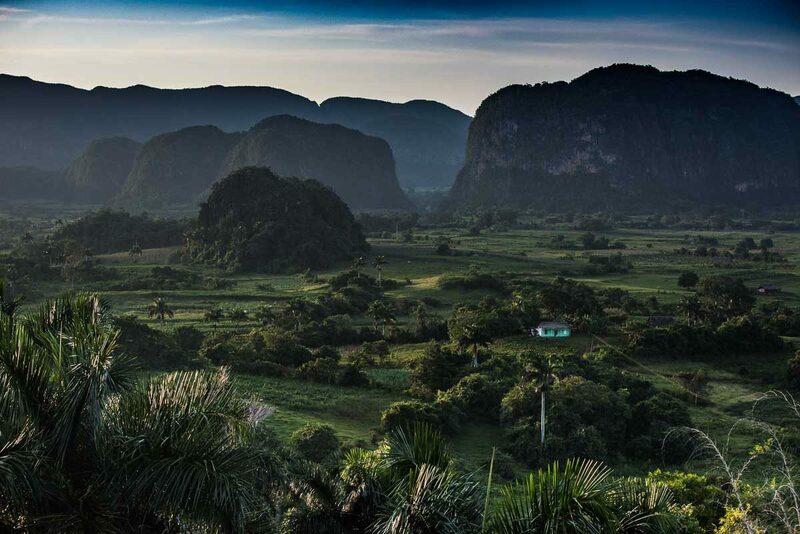 This is the Unesco World Heritage Viñales Valley at sunset. 40 The fortification at El Morro, formally known as the Castle of Saint Peter of the Rock, on the Santiago coast is yet another Cuban Unesco World Heritage site. And not just because they have sunsets like this one. I was so glad I was able to get to the east side of the island on this trip and see Santiago and Holguin. 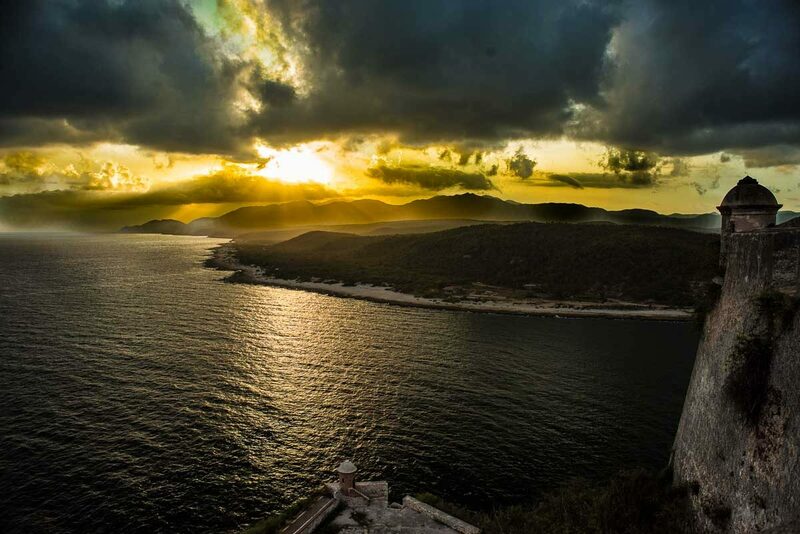 The east side of Cuba is completely different in landscape and attitude from the west, where Havana dominates. The tomb of revolutionary, José Martí, Santiago, Cuba. 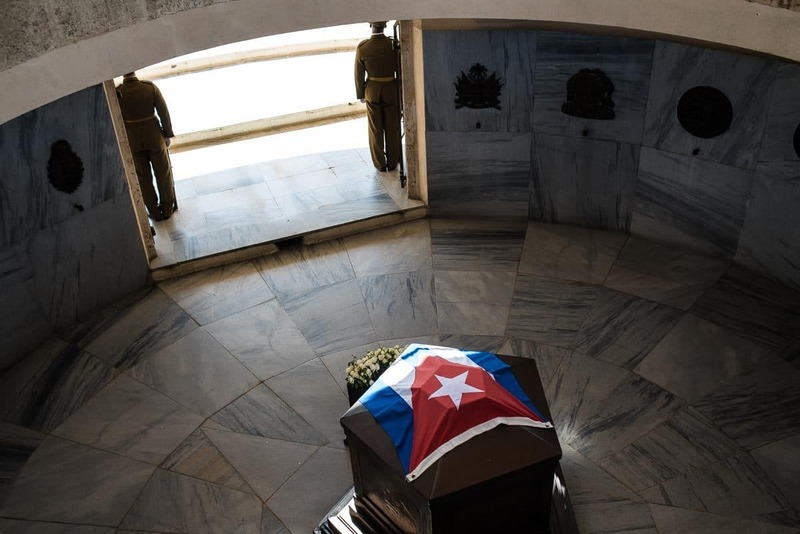 41 The tomb of José Martí in Santiago is just a few steps away from that of Fidel Castro. Martí was a famous poet who led one of the early revolts against the Spanish in the late 19th Century. He was killed in battle in 1895 in the precursor revolution that eventually morphed into the Spanish-American War, which ended up replacing the Spanish colonial rule with American colonial rule. 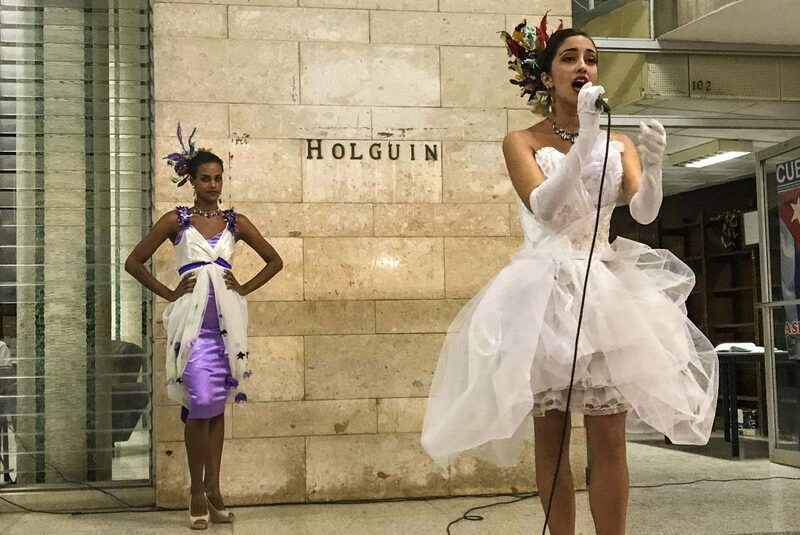 Opera and modeling at the library, Holguin, Cuba. 42 Sometimes just wandering around leads to unexpected pleasure. I was strolling around the town square of Holguin, looking for something to eat and a beer, when I came upon the city library, where they were setting up a couple rows of folding chairs on the sidewalk. I asked what was going on, and they said there was going to be a fashion show, with singing. Soon appeared some lovely models in evening dress, and this woman, who I think is a singer with the Cuban National Opera. If she isn’t she should be. She was fantastic. 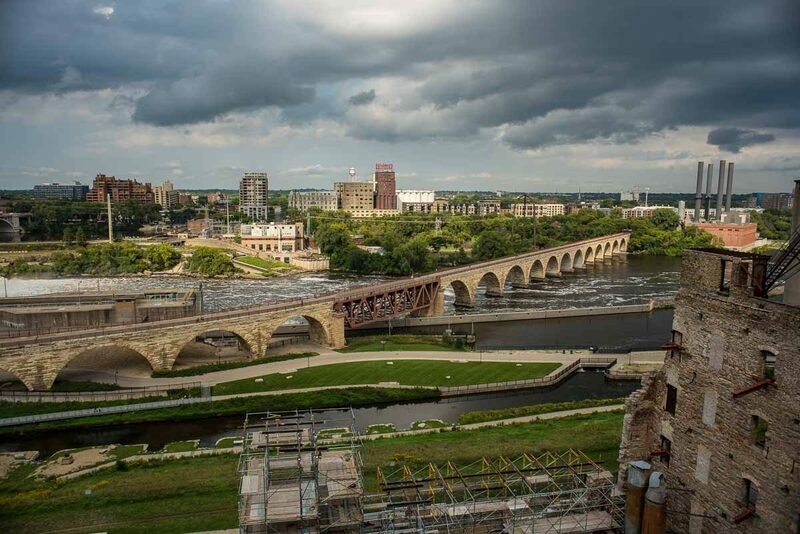 The Stone Arch Bridge, Minneapolis. 43 Sometimes you have to look at what you see every day as if you were a tourist in your own town. We got to do that this year, courtesy of the Meet Minneapolis tourist board and the AC Hotel in downtown Minneapolis, where we were squired around to Minneapolis attractions as if we were visitors. This is the view of the Mississippi River from the roof of the Mill City History Museum, which is well worth a visit if you come here. Or even if you live here. It’s nice to know the history of your own hometown. 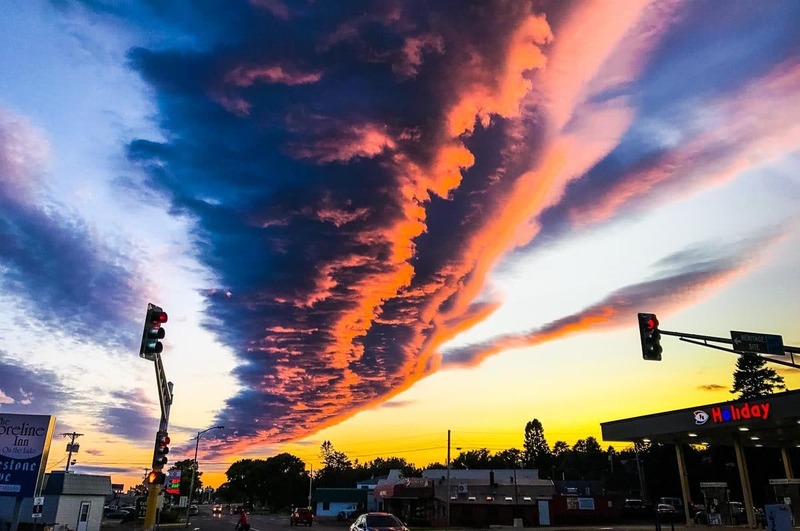 Red sky, Grand Marais, Minnesota. 44 Thank god for phone cameras. 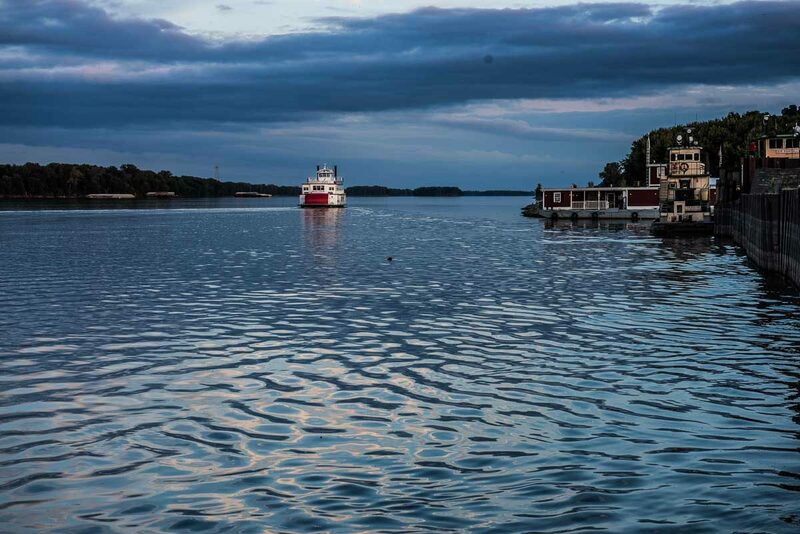 I’d been traipsing all over Grand Marais, Minnesota all day trying to get a defining shot of the classic small town on the north shore of Lake Superior. I got a couple I sort of liked, and so left the big camera in our hotel room and went out to dinner. As we came out of the restaurant to walk back to the hotel, I noticed sort of a red cast to the light and turned around to see this incredible cloud, colored crimson courtesy of the multiple forest fires in the west. Steamboat on the Mississippi, Hannibal, Missouri. 45 The town of Hannibal, Missouri is in large part a museum dedicated to its most famous son, Mark Twain. So as we ambled past the shops and actual museums down to the river which played such a big part in his life and writing, it was just luck that we got to see a steamboat, which plies the wide river as an homage to Twain and the Mighty Mississippi. 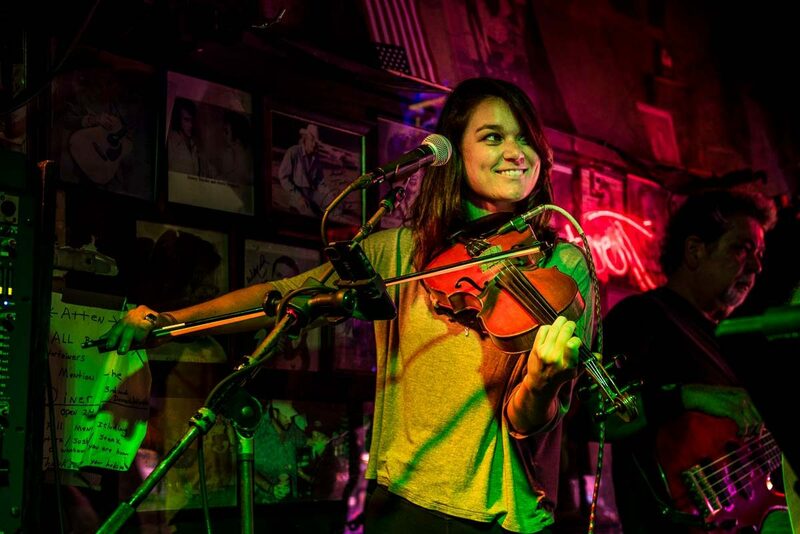 46 We took a road trip to Nashville, Memphis, and northern Mississippi, all of which are home to clubs where you can just walk in, order a beer, and listen to some of the country’s most accomplished musicians wail for free all afternoon. I never caught the name of this band or of the fiddler/singer we heard at Tootsie’s in Nashville, but I can tell you you should wander into Tootsie’s next time you are in town on the off chance you might hear them. They were good. Beagle Strait, Tierra del Fuego, Argentina. 47 In October we started a month in Argentina with a short stay in Buenos Aires and then a flight to Ushuaia, the southern most city in the world. 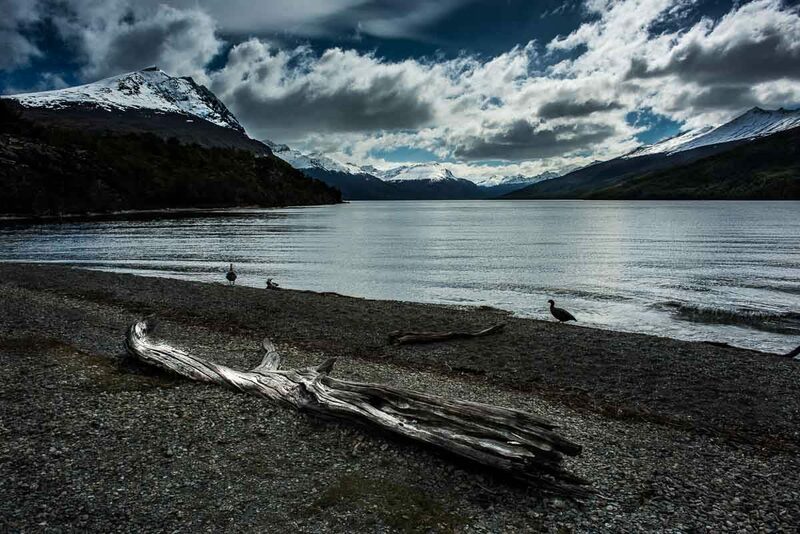 From our base there we spent four days hiking all over the tamer parts of Tierra del Fuego. (The wild parts are far beyond the capabilities of all but the most intrepid.) Although we stuck to paths, we did see a large part of this incredible landscape and got a sense of what attracts people here, starting with people like Magellan and Darwin, whose accomplishments shook the world. Harberton Farm, Tierra del Fuego, Argentina. 48 As part of our visit to Ushuaia, we visited the extensive Harberton Farm, the oldest farm on Tierra del Fuego. The farm is still in operation, although operations are not at the original levels. 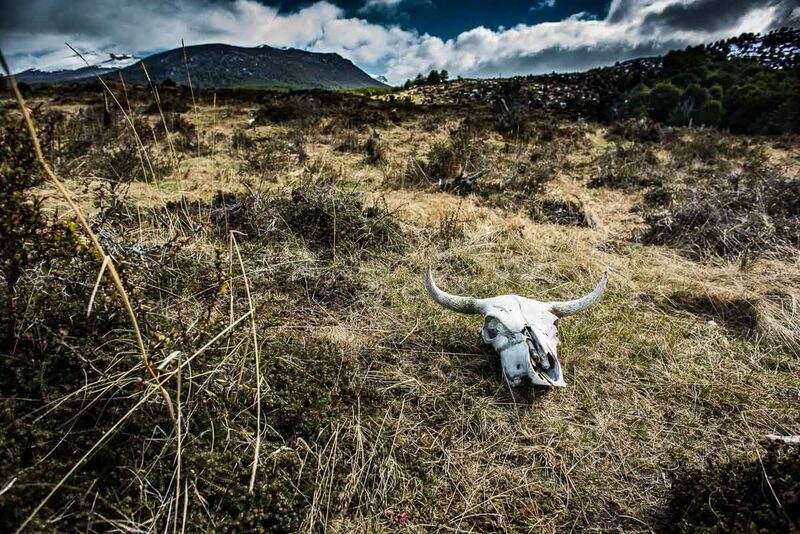 The sheep are all gone, but a few cattle still roam the marshy pastures. Some of them don’t make it to the slaughterhouse. 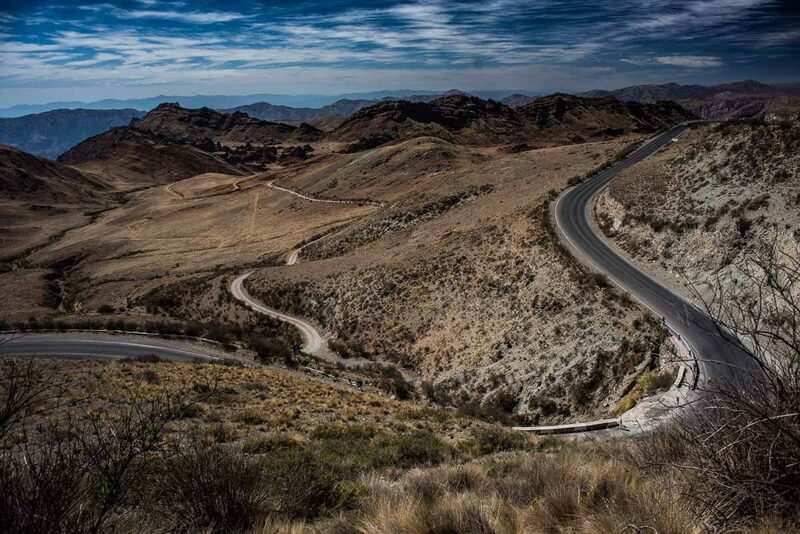 High desert near Salta, Argentina. 49 At the opposite end of Argentina from Ushuaia is the high desert in the northwest part of the country. The main city there is Salta, and from there you can take a bus through the mountain passes, over 4000 meters (13,000 feet) to Cachi. On the way there, you pass the Cuesta del Obispo, the Hill of the Bishop. According to the story, centuries ago the Catholic bishop trekked these paths to visit his flocks. He didn’t have the paved roads, of course. 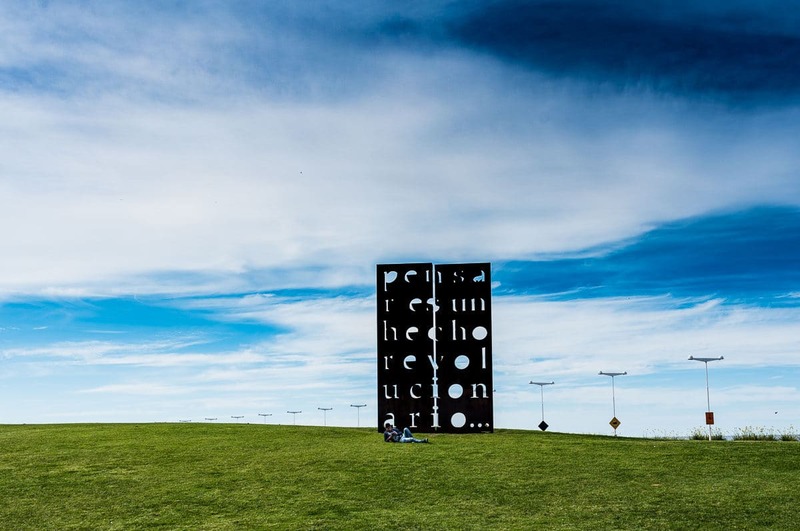 Parque de Memoria, Buenos Aires, Argentina. Lovely array of photos! 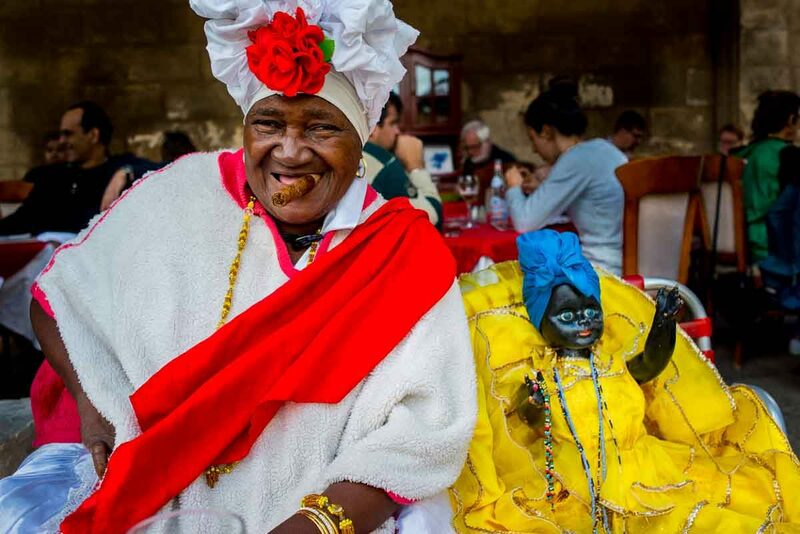 I especially love the ones of Cuba, as it is one of favourite destinations for the natural beauty and beaches, for the local culture and friendly people, and the fabulous chocolate that is being made from locally grown cacao. Being Americans, we really can’t go to the beaches for fear of incurring the wrath of Herr Trump. Maybe some day. Chocolate on the other hand…I’m going to have to look into that next time. I spent most of my money on mojitos. Beautiful collection of photos! Really nice. Aren’t you sweet? Back atcha. A beautiful collection of photos! That same type beetle ate its way through our orange tree in Greece. . .irritating little destructo forces they are. Loved the cloud over small town America! Happy New Year to you both and continued happy, healthy travels! Thanks so much, Jackie. And Happy New Year of travel to you, as well. All the best. Mercy Tom! Thank you for this journey tonight! Your pictures are amazing with the short but powerful pieces of history! Love it! Can only imagine how difficult it was to narrow down your choices to 50 photos. You are successful at making us all want to get on a airplane. Kellie, you are so kind. And I’d love to get on that plane with you one day. Lovely photos, Tom! 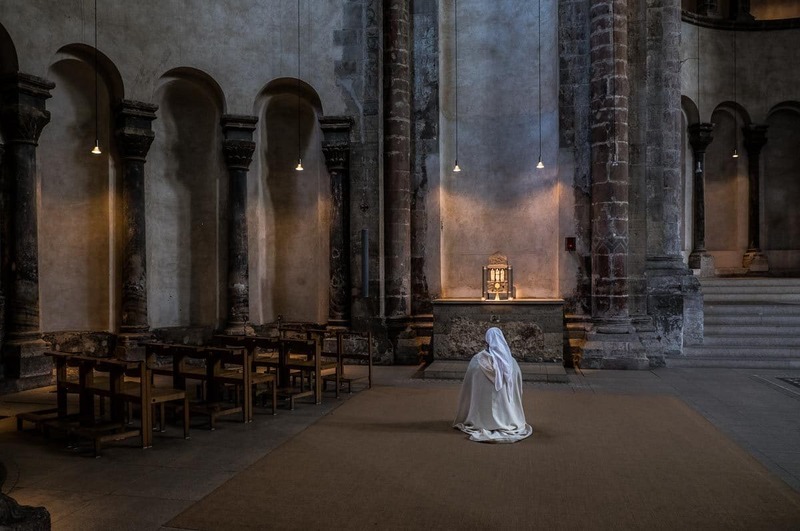 In particular, the photo of the lone religious sister adoring the Blessed Sacrament at St. Martin Church in Cologne drew me in. Thanks, Curt. That one is one of my favorites, too. Having known a few religious people in my life, I can relate to that one as well. I actually went back to that spot after photographing it without any people because it drew me. The shot of the sister happened on the second pass–a happy accident. Love the variety and quality of all these photos. And, oh my, the time it took you to decide on so few from so many! Sorta makes me want to do the same, but it might take me ’til 2019 to accomplish what you’ve just posted. Best wishes for a safe, happy travels in 2018! Rusha, well it really only took about 16 hours. So give it a go, I’d love to see your stuff. Happy New Year full of travel for you as well. Great photos, Tom. and such a great way to touch on the highlights of your travels in 2017. Hope 2018 is just as filled with beauty and adventure. Thanks, Jane. And the same to you. Have a great year. What a gift to be able to experience the diversity of our planet through your photo lens. The commentary for each picture made it even more intriguing. Simply beautiful, Tom. Gee thanks, Gail. Very kind of you. Tom, As always, stunning! My two faves are the night shot in the Galapagos and Kinderdijk. Happy Traveling in 2018! Thanks so much, Corinne. And happy travels to you as well. Hope we bump into each other again soon. Planning a couple of trips to Europe this year. Maybe then! What a great way to outline 2017! I really enjoyed your photos and learning about where your travels took you. I hope the New Year is as good to you! Thanks, Marilyn. I hope we get to have half as good a year as 2017. You have such a good eye for a new angle or a new way to frame a photo! I found myself slowing down and taking mental notes to further my own very amateur photography. And Cuba has moved way up my list of places to see now! Cuba is the most photogenic place we’ve been, probably. The combo of friendly people, lots of color, and stunning landscapes make it a can’t miss. Always enjoy your photos and your dry wit. Looking forward to reading about your 2018 travels, especially to Cuba. What a wonderful collection of photos and looks like you had a pretty epic 2017. Really intrigued by your trip to Argentina, that is high on our list of places we want to go to. Ushuaia in particular, probably because we want to hop on a ship and head to Antarctica so bad but also would love to visit Argentina for Iguazu Falls! Looking forward to following your adventures in 2018! Thanks, Chris. We highly recommend Ushuaia. It’s fantastic in many ways. Your photography is fabulous and inspiring! I particularly enjoyed the photos from France. As an armchair traveler, I am grateful that you and Kris share your photos, experiences, and insights as you trek around the world. In the late 90’s while I was employed by Arthur Andersen, I spent two weeks in Buenos Aires on a project for the World Bank. I was not then (and am not now) sufficiently fluent in Spanish to conduct my meetings without the assistance of a translator, a young Argentine consultant working for Andersen who had obtained his MBA at USC. His mother and her lover were among those dumped out of a plane over the Rio de la Plata. He was returned to his father; his half-sister was given to a military family. Eventually, his father managed to gain custody of the girl, who had a very troubled life afterward. El Parque de Memoria had not been built yet when I was there. My prayer is that we never need one here.